Creating your own start up often times means you work from home. As many distractions as there are in a populated workspace, you are sure to run into distractions at home as well. You don’t have the constant accountability of your team peering at your work progress throughout the day, so it’s imperative that you are meeting deadlines and staying committed to your role when you are at home. Overcoming distractions is straightforward once you understand what your distractions are and how to avoid them. 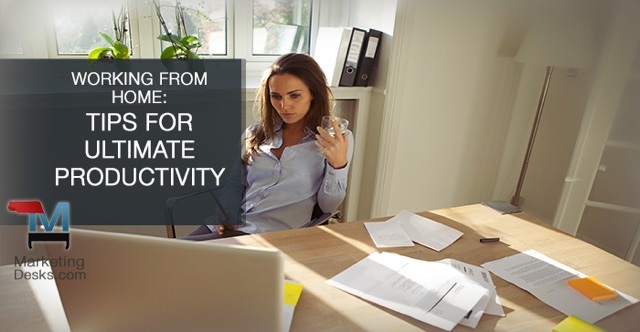 Take a look at these four tips in maximizing your productivity while working from home. Working at home means no commute, but it doesn’t mean you don’t start early. Get up early, make a pot of coffee, grab a bite and start working. Starting early allows you to plan, strategize, and organize your day before most people are driving to their office. If you plan to start working at 7am, get up at 6am and have all your morning tasks done by 7am. If you don’t already do this, start tomorrow. If you started work just one hour earlier, you gain 15 full days a year. Think about all you could achieve in 15 days. This also relates to the time you end work each day. If you want to work 7am-4pm, make sure you are ready to stop at 4pm. Having a set time to stop will spike your productivity since you are creating a deadline for yourself. When you are planning your day in the morning you can set certain time blocks for your tasks so you can plan to end at 4pm. Having an errand to run shortly after 4pm in another great incentive to end your work day at 4pm. If you need to take your son to soccer practice at 4:30pm, you really need to finish your tasks on time. As much as you love AC/DC, it’s not the perfect music mix for all of your tasks. Create different playlists that encourage productivity. To bust through emails, AC/DC would be good since it’s upbeat and energizing. For reading/researching consider a softer indie station. For meeting prep, consider no music at all since you’re likely rehearsing your script. Music is meant to enhance your focus and pass time quickly but if you don’t tailor the right type of music to your tasks, you could find yourself distracted and behind in your work. Spend some time on the weekend researching different Spotify/Pandora stations and try your new music technique out next week. Just like the saying “if you want something done, ask a busy person,” staying busy will actually help your productivity. Think about this situation. As a parent you are always running around taking your kids to soccer or ballet and need to fit in homework time and meals in the time in between. So what do you do? You schedule out when you are going to make dinner, and when the kids are going to sit down and focus on homework. Having this timeline helps everyone stay on the same page and stay structured so everything gets done. The same goes for the work day. The more things on your plate, the more you are forced to organize each task by the hour. Planning your day will help you stay on top of your responsibilities whether it’s project related or soccer related. Being around your home all day could entice you to whip up a fancy breakfast or lunch. Just remember, the time you spend cooking takes away from the time you could be working. Grocery shop on the weekend and plan your meals out for the week. Cereal for breakfast, sandwiches for lunch, and dinner could be fancy since it’s after you’re off. Having pre-planned meals will help your productivity and will also help you feel healthier. When you plan your meals, you are less likely to drive down the street to grab a hamburger for lunch because you don’t feel like making anything. And your meals don’t need to be bland, cook up some chicken breasts on Sunday and prepare lunches for the entire week with chicken rice, and veggies. The point is to have ready meals so you can spend all your precious time on being productive. Working from home is an adjustment from working in an office. You don’t have the constant distractions of your co-workers stopping by, or the chatter in the background that makes it hard to focus. You have other distractions like the ones listed above, and it’s important that you identify your distractions and create a plan to spend that energy on your work. 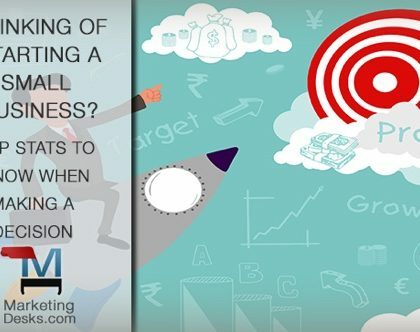 Contact the Marketing Desks to help plan your marketing strategy so you are able to get some time back in your day to spend on growing your business.